“Temporary Visitor” entry status, according to Japanese Immigration Law, allows a stay in Japan of 15 days or 90 days for “sight-seeing, etc.” If you apply for a “stay for sight-seeing” when you enter Japan, entry officials will stamp your passport as “Temporary Visitor”. Only persons who have a passport bearing this stamp can use a JAPAN RAIL PASS. You will be required to have an valid passport with the temporary visitor status and your exchange order to receive your JAPAN RAIL PASS. The valid period of a JAPAN RAIL PASS is the consecutive 7, 14, or 21 days starting from your chosen date. Within three months from the date the Exchange Order was issued, you must exchange your Exchange Order in Japan to obtain the JAPAN RAIL PASS. At that time, it is necessary to specify the date that you want to start using the PASS. It can be any date within one month from the date the PASS is exchanged in Japan. Adapt Digital Pty Ltd trading as Japan Rail Pass Now is not liable for lost or misplaced passes. All our deliveries are carried out using Australia Post via our supplier. As such we are subject to their terms and conditions. Once your order has been received by us, we aim to process your goods within 1 business day (Mon-Fri) and have them dispatched within 24-48 hours within business days. Once our supplier has dispatched your goods, you should normally receive them within the timeframe of the delivery type chosen. However, while we maintain a close relationship with our supplier & delivery company, and will attempt to rectify any delivery problems as soon as reasonably possible, the operation of the supplier & delivery company we use are outside our control. Time of delivery shall not be subject to any contractual obligation, and Adapt Digital Pty Ltd trading as Japan Rail Pass Now does not offer any guarantee that your order will arrive within the delivery time-frame chosen. In the event of the delay of delivery of your order or a mistake in the order itself, Adapt Digital Pty Ltd trading as Japan Rail Pass Now accepts no liability for any associated expense, loss of profits or other losses incurred whatsoever. Failure to deliver on time will not entitle the customer to terminate their purchase contract with Adapt Digital Pty Ltd trading as Japan Rail Pass Now, or refuse delivery. Returns/Refunds should be made using the instructions below. Please note that Adapt Digital Pty Ltd trading as Japan Rail Pass Now will not be responsible for any lost or damaged parcel as a result of incomplete or inaccurate address. 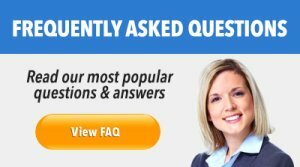 Australia Post does not have any insurance regarding misplaced/lost EXPRESS Mail. 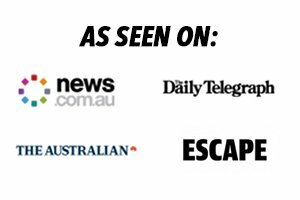 You acknowledge and agree that the products and services offered for sale on the Site are directed solely at Australian residents. Adapt Digital Pty Ltd trading as Japan Rail Pass Now makes no representation that any products and services sold through the Site are appropriate or available for use by persons residing outside Australia. Please be advised that some products and services may not be deliverable overseas due to local law and it shall be your responsibility for any failure to deliver the products and services overseas due to local law. Adapt Digital Pty Ltd trading as Japan Rail Pass Now will not be liable for any breach by you of any laws. Neither an Exchange Order or a JAPAN RAIL PASS can be refunded or reissued if it’s lost or stolen. Please ensure it’s kept safe at all times. An Exchange Order that has not been exchanged for a JAPAN RAIL PASS can be returned to us for a refund, within one year of the date of issue. In such case AUD$110 refund processing fee per ticket will be charged. After an Exchange Order is exchanged for a JAPAN RAIL PASS, the PASS can be presented to any JAPAN RAIL PASS exchange office in Japan for a refund if this is done before the starting date of the PASS. (10% of the Japanese yen price of the PASS will be charged as a handling fee). No refund can be made for any reason on or after the stamped First Date. Also no refund or extension of the validity period can be made in the event of a train non-operation, delay, or the like. Make sure you contact us before returning any item so we can provide you with the correct details and return address. Any item returned without our knowledge will be refused. We are unable to provide a refund to you until your original Exchange Order vouchers have been sent back to us and we receive refunds from the relevant supplier. Adapt Digital Pty Ltd trading as Japan Rail Pass Now are not responsible for the returns process in Japan, and will not be liable to you/or any third party for any consequential or incidental damages or any other indirect, special or punitive damages whatsoever that arise out of or are related to the returns process in Japan. Cancellation fees or any other fees in Australia are subject to 10% GST. An amendment only refers to the passenger’s details of their original ordered pass. A pass can NOT be changed due to passengers change of mind or travel plans, please refer to the refund details in this case. If passes have been issued incorrectly by us, an amendment can be made free of charge. Should the customer have provided incorrect details of their name and the pass has already been issued, amendments can be made, but this will incur a $45 amendment fee. Exchanges orders must be sent back before we can reissue the exchange order. You will need to contact us and we will arrange return delivery address and confirm the amendments. Neither an exchange order nor a pass can be reissued if lost or stolen. Please ensure it’s kept safe. The pass can be used on limited express trains of the Kyushu Railway Co., in ordinary reserved and non-reserved seating, and on ordinary trains of the Kyushu Railway Co. in the designated area for the pass. The All Kyushu Area Rail Pass can also be used for Kyushu Shinkansen Bullet trains. If the holder travels on a Green Car, the Green Car charge will be assessed in addition to the ordinary express charge. The pass cannot be used for private compartments.The pass cannot be used on sleeper trains, the Sanyo Shinkansen “bullet” train, or JR Kyushu buses. 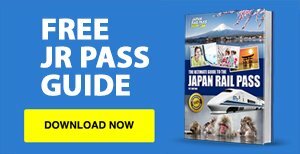 The www.japanrailpass.com.au website (including any redirections to or from www.japanrailpassnow.com.au and wwww.jrrailpass.com.au) (the “Site”) is owned and operated by Adapt Digital Pty Ltd trading as Japan Rail Pass Now ABN 30 609 333 762. Adapt Digital Pty Ltd trading as Japan Rail Pass Now will make bookings on your behalf and to arrange relevant contracts between you and suppliers of the Japan Rail Pass. Adapt Digital Pty Ltd trading as Japan Rail Pass Now does not own, manage, control or operate any of the Japan Rail services. 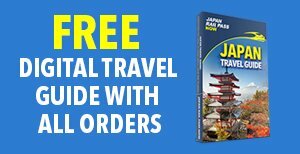 All bookings via Adapt Digital Pty Ltd trading as Japan Rail Pass Now are subject to the terms and conditions and limitations of liability imposed by our service providers including but not limited to shipping, rail, some of which limit or exclude liability in respect of death, personal injury, delay and loss or damage to baggage. Adapt Digital Pty Ltd trading as Japan Rail Pass Now strongly recommends that you take out travel insurance against these risks. In these booking terms and conditions the expressions “Japan Rail Pass Now”, “we”, “our” or “us” include Adapt Digital Pty Ltd trading as Japan Rail Pass Now ABN 30 609 333 762) and entities that assist or participate with Adapt Digital Pty Ltd trading as Japan Rail Pass Now in the provision of the services it agrees to provide (where the context permits, including its and their employee and agents) and the expressions “you”, “your”, “client” or the “passenger” include a person seeking or requiring the services offered by Adapt Digital Pty Ltd trading as Japan Rail Pass Now, all other persons (if any) included with that person in the booking and that person’s or those persons’ travel agent (if any). These terms and conditions govern all bookings for Adapt Digital Pty Ltd trading as Japan Rail Pass Now. You will be bound by these terms. The following items are not included in the price of your rail pass: airfares, passport and visa charges where applicable, insurance, items of a personal nature, additional costs which are connected to the JR network, such as an upgrade to green class. We are not liable for any expense, costs or loss incurred in relation to such matters and you release us from all liability, damages or responsibility in relation to them. Adapt Digital Pty Ltd trading as Japan Rail Pass Now strongly advise you to take out Travel Insurance. As travel plans are sometimes affected by influences outside your control, we strongly recommend you seek advice on obtaining insurance prior to travel and to discuss insurance options with other providers. It’s your sole responsibility to make sure that you and your party have valid passports and visas. Adapt Digital Pty Ltd trading as Japan Rail Pass Now is not liable for any expenses, liabilities or loss incurred in relation to invalid passports, invalid or restricted visas or any other matters regarding your eligibility for entry into the country of your destination. Adapt Digital Pty Ltd trading as Japan Rail Pass Now aims to ensure that all information contained on our website is as up to date as possible. However, Adapt Digital Pty Ltd trading as Japan Rail Pass Now does not take any responsibility for any information on this website and all information should be used as a guide. We reserve the right to change any information at any time. All prices are quoted in Australian dollars and are inclusive of GST where applicable. All rates shown are subject to availability by our supplier. Whilst we will make all reasonable efforts to show accurate information on our website, we cannot guarantee the price or our ability to supply any particular item shown. All prices shown on our website, www.japanrailpass.com.au, are to be seen as guide prices, and as such do not constitute an offer to sell. The formal contract formation and our acceptance of your order only occurs once we have both received your payment and dispatched the goods. Until we have formally accepted your order, received your payment and dispatched the order, placement of an order will constitute an offer to purchase. 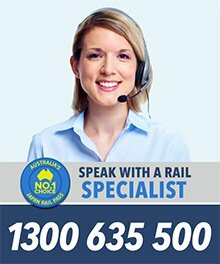 We reserve the right to correct any errors in rates quoted or miscalculated for any service quoted on the Adapt Digital Pty Ltd trading as Japan Rail Pass Now website or via our Customer Service Representatives. We will contact you if there is an error and you will have the option to proceed or decline the contract with the recalculated amount. This site and all of its content is the copyrighted property of Adapt Digital Pty Ltd trading as Japan Rail Pass Now, its partners and its various third party providers. You agree not to, except as permitted under the applicable law, copy, reproduce, republish, upload, post, transmit, distribute or otherwise communicate or cause to be displayed to the public any of the content found in this site without the prior written permission of Adapt Digital Pty Ltd trading as Japan Rail Pass Now. Disclaimer: This disclaimer of liability applies to any damages or injury caused by any failure of performance, error, omission, interruption, deletion, defect, delay in operation or transmission, computer virus, communication line failure, theft, or destruction or unauthorized access or, alteration of or use of record in connection with the use or operation of the Site, whether for breach of contract, tortious behaviour, negligence or any other cause of action. Adapt Digital Pty Ltd trading as Japan Rail Pass Now makes no representations or warranties of any kind, express or implied, about the completeness, accuracy, reliability, suitability or availability with respect to the Site or the Content contained on the Site for any purpose. Any reliance you place on such information is therefore strictly at your own risk. Adapt Digital Pty Ltd trading as Japan Rail Pass Now disclaims any express or implied warranty representation or guarantee as to the effectiveness or profitability of the Site or that the operation of the Site will be uninterrupted or error-free. Adapt Digital Pty Ltd trading as Japan Rail Pass now are not liable for the consequences of any interruptions or error in the Site. You agree that neither Japan Rail Pass Now, nor any of its representatives shall accept any liability in contract or in tort for any injury, death, accident, damage to personal property, loss, delay, additional expenses or distress, disappointment, inconvenience caused, directly or indirectly during the holiday howsoever arising in connection with any transportation or other services by force majeure or other events, acts or omissions which are beyond the control of Japan Rail Pass Now or which are not preventable by reasonable diligence on behalf of Japan Rail Pass Now including, but not limited to, all civil disturbance, fire, floods, unusually severe weather, acts of God, acts of government or of any other authorities, accidents to or failure of machinery or equipment or industrial action, strikes, theft, delay or cancellation, changes in itinerary or schedules, riots, pilferage, epidemics, quarantines, medical or customs regulations, improper or insufficient passports, visas or other documents. All warranties and conditions implied by statute or generally at law are excluded to the maximum extent of the law. If the Competition and Consumer Act 2010 (Cth) or any similar law applies and an implied condition or warranty cannot be excluded, the liability of Japan Rail Pass Now will be limited, at their discretion, to either the replacement or resupply of the goods or services. This indemnification section survives the expiration of this agreement, and applies to claims arising both before and after the agreement ends. These Terms, and the documents expressly referred to in them, constitute the entire agreement between you and Adapt Digital Pty Ltd trading as Japan Rail Pass Now, and supersede all previous discussions, correspondence, negotiations, previous arrangements, understanding or agreement between us relating to the Site. Consumer claims should be made in writing within 30 days of return, with supporting documentation. 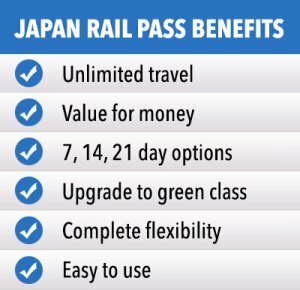 Such claims should be addressed and forwarded to our Customer Service Representatives at helpdesk@japanrailpassnow.com.au or mailed to the attention of Japan Rail Pass Now Customer Service at 45/145 Sydney Road, Fairlight, 2094. We reserve the right, in our discretion, to correct any errors or omissions in any part of the Site. We may restrict access to parts or the entire Site at any time, including, but not limited to, Content, certain features and services, hours of availability, and equipment needed for access or use, without notice or liability. Any material on the Site may be out of date at any given time and we are under no obligation to update such material. It is your sole responsibility to periodically check these Terms for any changes. If you do not agree with any of the changes to these Terms, it is your sole responsibility to unsubscribe from the Site. Your continued use of the Site will be deemed as your acceptance thereof.